Back in the day before selfies, tweets, and status updates, watching TV and sharing your thoughts and opinions on what you were watching was pretty much something you shared with whoever was in the same room with you. Thanks to the hashtag, the # symbol used to mark keywords or topics, watching TV is a social event, part of social TV trends that are now commonplace. Not only can you interact with friends and other fans of your favorite shows while watching a show, but you can also interact with the actors who are in the shows you’re watching. A recent infographic from Wowza Media Systems shows that 44 percent of Americans use a second screen (mobile device) when watching TV, with 51 percent using social networks to connect with others watching the same show. The most popular social media site used by those watching TV is Facebook, with 82 percent using it. According to the Twitter blog, 95 percent of live TV conversation happens on Twitter. This is evident as far as social TV trends are concerned, because you see hashtags used everywhere on TV, in commercials, in news crawls, and during sporting events. First came Twitter, with the hashtag feature that instantly connected everyone talking about the same topic. Then other social media platforms also adopted the use of hashtags, with Facebook recently joining the hashtag party. 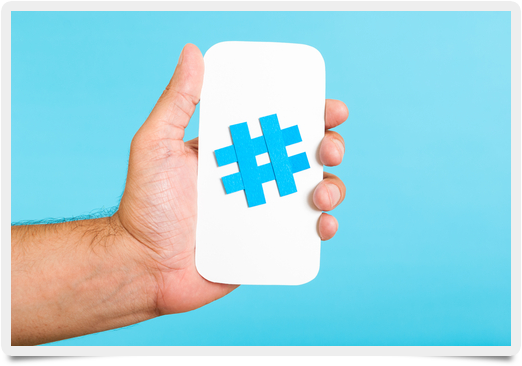 And some things to keep in mind when using hashtags: use the hashtag associated with the TV show you are watching. Many times the official Twitter account of the show will create a hashtag, or fans will use their own. Keep up with any other hashtags used for fan and cast member interaction. For example, many TV shows will create their own hashtag to allow fans to ask questions of cast members, such as ABC’s Scandal hashtag #askscandal.